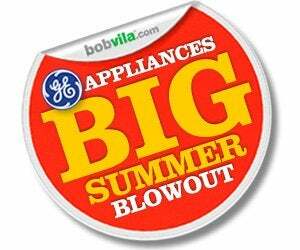 Enter Our GE Appliances “Big Summer Blowout”—TODAY! Today and every day this month, enter our GE Appliances Big Summer Blowout Give-Away to win a new fridge, dishwasher, or washer and dryer! Want a fresh look? Need better performance from your home appliances? Waste no time in entering our GE Appliances “Big Summer Blowout” Give-Away! This is your chance to win prizes bound to enhance the style of your kitchen or laundry room, as well as the utility of either room. We are very pleased to announce that in August (through 11:59 a.m. EST, August 30), we have three spectacular give-aways from GE Appliances: a Cafe Series French Door Refrigerator (valued at $3,099), a GE RightHeight Design Frontload Washer and Dryer combo ($2,799), and a GE Hybrid Stainless Steel Interior Dishwasher ($699). TODAY and every day through Friday, August 16 (11:59 a.m. EST), you can enter to win the first in our trio of give-aways: a brand new GE Cafe Series French Door Refrigerator! A full-width adjustable temperature-controlled drawer that stores meat, produce, cheese and even citrus, each in its own organized compartment under optimal conditions. A new odor filter reduces unwanted odors within the fresh food section. TwinChill™ Evaporators separate airflow and climates in the fresh food section as well as in the freezer sections, where humidity-limiting technology reduces the likelihood of freezer burn. And it accomplishes all this even while earning an ENERGY STAR rating! Enter daily to increase your chances of winning. And remember there are more incredible GE Appliances to win in the weeks ahead, including the GE RightHeight Design Frontload Washer and Dryer (from noon EST August 16th through 11:59 a.m. EST August 23rd), and the GE Hybrid Stainless Steel Interior Dishwasher (from noon EST August 23rd through 11:59 a.m. August 31st). 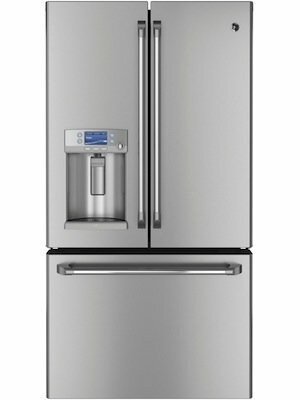 For more on the full line of GE Appliances, click here.